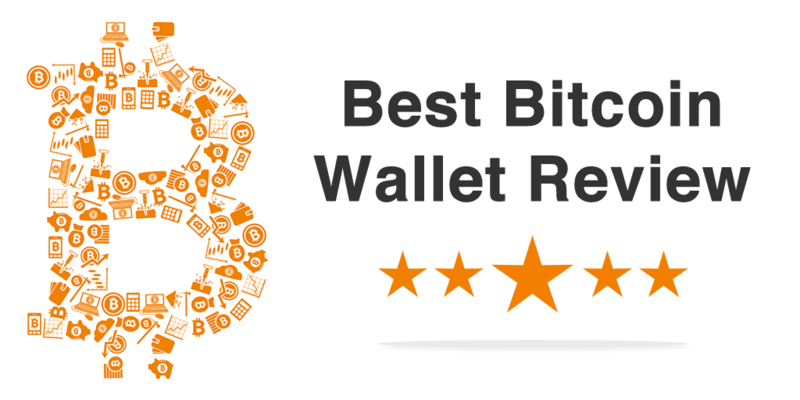 When looking for the best Bitcoin wallet in the constantly evolving and complex world of digital currency, finding helpful and easily understandable information can be difficult. Our goal is to educate you on EXACTLY where to store your bitcoin, and to explain the pros and cons of various types of wallets. While there are many lists of bitcoin wallets available on the web this article will look at the ones you should actually be using in 2018 and why. If you're still not sure how Bitcoin works and what a bitcoin wallet actually is, then you will probably want to watch the video below for a quick introduction. But if you own any bitcoin at all, or plan to, then you need a wallet. It's that simple. Actually choosing which type of wallet and provider is best for you is what will make all the difference in your experience. When choosing which bitcoin wallet to go with, one of the biggest distinctions if where the private keys to your bitcoin will actually be stored. This is because your bitcoin private keys are essentially you rights to own that bitcoin so if they are lost or compromised you could lose your bitcoin. A software wallet usually means that the keys are stored on your device whether that be a desktop or mobile and you are responsible for securing your computer against black hat hackers and viruses as well as physical device theft or failure. Using a hardware wallet, which is a separate device you have to purchase, goes some way to protect you by removing your keys from your daily use device, and providing an air gap protecting your keys against viruses etc but not physical threats. In contrast with a cloud based wallet you are outsourcing your security to the wallet provider and putting your faith in their protections, so you should only do this with well established and trustworthy providers. Whilst you may lose ultimate control over the keys, cloud wallets are required to have best in class security otherwise they would go out of business very quickly and the best often have full business insurance against theft and hacking. Please Note: The wallets have stood the test of time and scrutiny by many users. They are all presented here as top solutions within their respective categories and in some cases have specific recommendations next to their name. We recommend avoiding companies and financial software that doesn't have a proven track record, unless you are *very* educated and understand the risks. Several wallets and exchanges have previously been exposed as fraudulent are currently under government investigation, with others to soon follow. If you ever feel pressured into using something, or it sounds too good to be true, especially with wallets doubling as investment opportunities, the best advice is to turn the other way. This is the evolution of the original reference client (Bitcoin QT) and is still used by many. However it's usage as a day-to-day wallet is not ideal for new users as you will need to download the entire blockchain, which is many gigabytes in size, and you will have to acquire your bitcoins somewhere else. This client is best suited for people who really want to get involved in running a full node on their own computer and potentially interact with the command line interface. The Copay wallet was developed and released as an open source project by the BitPay team who are responsible for facilitating a large percentage of mainstream Bitcoin ecommerce transactions. It was one of the first bitcoin wallets to bring in multi-signature transactions where multiple people can hold the keys and actually offers a very slick and streamlined management interface across all of the major platforms (Windows, Mac, Linux, iOS, Android and even Windows Phone). If you want a locally managed software solution this is one of the best choices available today. The Jaxx wallet is a cross platform bitcoin wallet that can run in your browser, on your desktop and even on your mobile (Android or iOS). It is very user friendly and has several popular cryptocurrencies built in including bitcoin, Ethereum, and others. You can easily switch between cryptocurrencies with the built in ShapeShift integration and it offers a hierarchical-deterministic addresses system for improved privacy which means each transaction uses a unique address where possible. The team behind it have been heavily involved in the Bitcoin world for years now and is highly respected. If you want something that just works easily and anywhere then this is one of the best choices today. This is desktop bitcoin software for the power users, it includes advanced security features, however it is similar to Bitcoin Core in that you will have to download many gigabytes of blockchain data to be able to use the full functionality. If you understand the term cold storage and have a spare offline only computer for bitcoin purposes then this is the wallet for you, however if you need something a bit more user-friendly then you probably want to move on. Coinbase is more like your traditional bank in that you have to trust they will look after your bitcoin for you. However the big difference with this wallet is that they also provide you with an easy way to acquire bitcoins if you don't have any yet. You can link your bank account to buy and sell as many bitcoins as you need at any point without having to trust any other third-party sites or marketplaces. They also offer apps for your phone, a profile page to help you get paid and merchant tools if you want to accept bitcoin for a business. All Hardware Bitcoin Wallets reviewed. This is very different from the rest of the crowd as it is a hardware base wallet so you don't need to rely on a potentially vulnerable desktop operating system exposed to the internet, or a trust based hosted solution. This type of wallet is probably best for those who want long-term portable storage of their bitcoin. It can also be used to store Ethereum and there are further integrations on the way. It is always best to perform your own due diligence when signing up for any financial service or product. The reviews on this page have been provided as a basis, to help you make an informed decision. Our conclusion is that Coinbase is the best bitcoin wallet for the average user to both acquire and store bitcoins. They are one of the longest standing providers founded in 2012, with close connections to key stakeholders in the bitcoin community and over $106M raised from the world's leading investors. Unless you are a computer expert they offer the simplest secure solution as they protect the private keys on your behalf and are insured by one of the world’s largest insurance brokers against theft and hacking. This page was last updated in January 2018.